On the fourth Sunday of Advent, 2017, the folks at The First U.P. Church of Crafton Heights considered the wonder of what it means to be in a position to be called by the Lord. We heard the stories of God’s calling the boy Samuel and the annunciation to Mary and thought about how or when we might be able to respond to God’s call on our own lives. How frustrating is it when you find yourself in a situation where you are not able to understand what’s going on? Maybe it’s when you walk into a room and everyone is laughing… and you’re not sure why… You’re given an assignment at work or at school, and you just can’t figure out what is expected… You know what it’s like to encounter a situation in which you know that something should make sense, but you have absolutely no idea how to make it comprehensible. We want the world to make sense, to have order, and to be predictable. We want to know what to expect, and when, and why. And yet all too often, it’s not that way. Especially, it seems, when God is involved. Eli and Samuel, unknown illustrator. Each of our scripture readings this morning presents us with a biblical character who simply cannot get a grip on what God is up to in their lives or in their world. In the first reading, we encounter young Samuel, who believes that the most important thing in his life at this point is to help Eli get through his days and nights in service to the Lord at the temple. Samuel respected the old man and he probably felt sorry for the ways that Eli’s sons had turned out. And Samuel probably wasn’t sure exactly why all the other kids lived at home with their parents, and he was here in the Temple, but he was making the best of it. As you know, he heard a voice, repeatedly, and is finally able to ascertain that the voice belongs, not to the ancient priest, but to the God that they both serve. Luke tells the story of a teenaged girl named Mary who is, by all accounts, simply minding her own business and planning a wedding. There’s a lot to do, and I’m sure that tensions were high. All of a sudden, her reverie is interrupted by the appearance of an angel who tells her something that she simply knows to be flat-out impossible. You know what it’s like to ask these questions. How do you respond when you are faced with a situation that is puzzling, or confusing, or heart-breaking? It would seem to me that we could learn a thing or two from the models we have encountered in scripture this morning. Samuel might tell us that it’s ok to slow down when you are confronting a perplexing situation. “Take some time,” he would say. “Get your bearings and try to discern what is really happening, not merely what is apparently going on.” He would know, since as you heard he didn’t get things right on his first, second or even third try. Samuel’s willingness to restart, and his acknowledgement that his perception might not be ultimately accurate allowed him to embrace the new thing that God was going to begin in his life and in the experience of his people. Our sister Mary would add that it’s ok to ask for help. When Gabriel started spouting all of this nonsense about her being pregnant she listened politely, but then she reminded him of the facts of her own life. And then she simply asked a question: “How can this be? I hear your words, but it simply seems unbelievable to me. Can you say more about this, please?” And in response to that, the messenger from God does, in fact, elaborate. He says that the Holy Spirit will “cover” her. The word for “cover” that is used there is the same word that the Greek Old Testament translators used to describe what was happening in the very beginning – when back in Genesis 1, the Spirit of God was “hovering” or “moving over” the water. Mary’s willingness to ask for support and encouragement brought her to a place where she was able to see herself as a part of God’s creative movement in and through the world. She came to see that this thing was not happening to her, but rather in or through her. In both instances, we see that slowing down, seeking alternative understandings, and asking for help leads God’s people to a deeper self-awareness and greater self-understanding. As young as they were, Samuel and Mary were each in a position (guided, I will note, by a mentor of one kind or another) to step outside of their own hurt, pain, confusion, or bewilderment and in so doing gain a deeper understanding of the roles that were being offered to them in the Divine economy. And in the security of that mentorship, the assurance of God’s presence, and with the gift of faith, both of these young people were able to redefine themselves, first and foremost, as “servants” of the Lord. Her final response to the angel is conclusive proof. Essentially she responds, “Look, the slave of the Master.” Of all that she does not know, one thing seems perfectly clear to her. It is a perspective that will help her navigate the deep waters into which the small vessel of her life is about to go. It will be the source of her disturbingly clear obedience… She is surrendering her rights, her hopes and dreams and her own body absolutely to him. Mary seems to know that she is owned by Another. The message that has come to her through the angel is absolute and life-changing. So when you find yourself up against things – whether you are confronting some of the great existential questions of life, such as “Why is this hurting so much?” or “When will healing come?” or “What next?”, or whether you are encountering yet another situation where it seems as though a colleague is determined to ride your last nerve, to poke and dig at some source of irritation, or to accuse you of that which is not true… When any of those things are going on in your life, it might be helpful to remember the practices enjoined by Samuel and Mary. Remember that you are still – and that you are always – learning how to live in the life of faith. There is no one in this room who can claim to have mastered that. Some days, you may feel as though you’ve made a lot of progress, and you can think, “Wow! I’m glad I am not where I used to be…” But never forget that each and every one of us has a long way to go on our journey toward maturity and discipleship. Try to remember what you told your daughter when she was learning to tie her shoes, or what your friend told you when he was trying to teach you how to drive a stick-shift car: Slow down. Relax. Let’s try this again. Watch. Remember not to take yourself so seriously. In all probability, the situation in which you find yourself is not really and ultimately about you anyway. In any case, the realities of your life at this instant are offering you with an opportunity to come alongside of God and to help conform God’s world to God’s intentions. You know, that all sounds pretty good. Relax. Don’t take yourself so seriously. Give yourself a break. As God for help. Remember that you are a part of the thing that God is doing in the world. Nobody would be surprised to show up for worship on the fourth Sunday of Advent and hear the preacher spouting stuff like that. It’s the sort of thing that we think we pay for from the pulpit. On the other hand, the more entrenched the participants are in their own practices and understanding of the life of faith, the harder it is for them to perceive this new thing that God is doing. Joseph is a responsible, righteous, well-regarded member of the community. He is afraid of bringing disgrace on his own family as well as that of Mary, and when he is confronted with this impossibility, he decides in his heart that he can’t possibly get behind this and so he plans a quiet bit of legal action to make everything go away quietly. 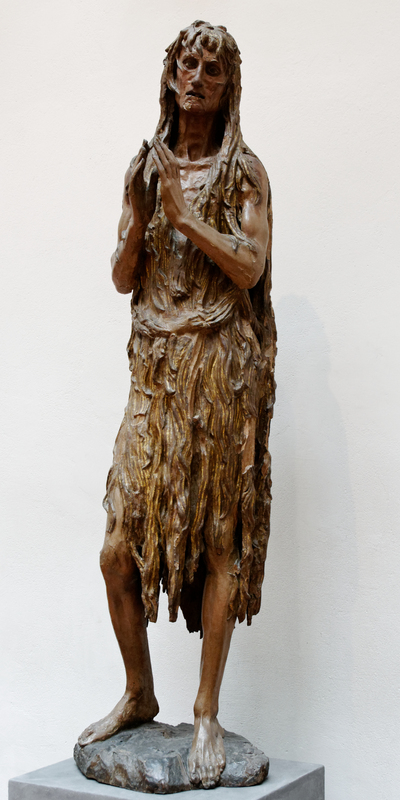 Zechariah, the priest serving in the Holy of Holies in the Temple, the one who was chosen to be the father of John the Baptist – the man who, as much as anyone in this part of the story is an insider aligned with a particular way of understanding God at work in the world – he hears word of what is happening and is so surprised and upset by it that he actually argues with the angel and is struck mute as a result. And although the other priest of whom we read this morning, Eli, does not figure in the narrative of the nativity, it is worth pointing out that he cannot even hear the voice of God speaking when the Spirit announces the intention to do something new. Could it be that in our quest to consider ourselves “mature Christians” and “growing disciples” that we may be prematurely declaring that we know what God wants and we can take it from here, thank you very much? Could it be possible that in my quest to take care of things and try to impress either you or God with my wisdom or insight or faith or whatever… that I have lost something of my ability to wonder at and seek to join in with God’s purposes? At the end of the day, both Samuel and Mary are able to adopt a posture that is first and foremost humble, teachable, and trusting. When Jesus’ friend John wrote his account of Jesus’ life, he didn’t tell any stories about when Jesus was born. But he did give Jesus an interesting label: John said that Jesus was the “word” for God. There are all kinds of good reasons for that, I’m sure. Perhaps chief among them for me, this morning at any rate, is the fact that Jesus was the Word that was shaping Samuel (“Speak, O Lord…”. Jesus was the Word that was preparing Mary (“Let it be to me according to your Word…”). Today, dear friends, and in the days to come, let me encourage you to find some quiet spot. Unplug. Listen. I suspect that the Word which became apparent to Samuel and to Mary is longing to become audible to you in a new fresh way here in Advent of 2017. Listen. Seek God’s face for half an hour. None of those things are going anywhere fast. They’ll all be right where you left them when you get back. The question is, can you be different as you consider the questions in your life and in our world? If Christmas means anything, it means that you can. Thanks be to God, we all can. Amen. Michael Card, Luke: The Gospel of Amazement (Biblical Imagination Series, IVP 2011), p. 39. We finished our series on the ways that God calls us by looking at the calling to Mary as reported in Luke 1:26-38 and some of the ways that she was prepared for that by reading Psalm 119:33-40. Love for a child changes you. All of you know this already. There are wonderful, exciting things that can happen. And there are aspects of character development that would seem incomprehensible to your previous self. I noted this shift in my understanding of self one evening when my daughter was about two years old. She had been sick, I had been flying solo as a parent for a couple of days, and we were looking at a road trip to reconnect with some family members. She had fallen asleep in the back of our ancient Chevy Impala before I had a chance to stop for coffee and a sandwich, and now I was faced with the eternal question: do I stop, and risk waking a sick, cranky baby? Or do I drive on in a caffeine-less hungry stupor? Duh. You don’t stop. Everybody knows, you don’t stop. But I was hungry. I needed something. And then I saw it. Stuck to the grimy blue fiber of the carpet. It was a tootsie pop of indeterminate color and age. I pried it loose, and examined it. Ariel had already enjoyed some of it, yet the chewy center appeared to be intact. It was nasty…but I was hungry… I was ready to throw it out the window just to get it out of my car, but instead I held the pop in my hand for five or ten miles, observing its fur and overall appearance. There appeared to be no signs of life on the surface. Suddenly, something clicked. Clear as a bell, a voice came into my consciousness: I can do that. And in an instant, I entered into the legion of you who have done incredibly gross things because in some way, you thought that they would benefit a child you loved. In my case, it was simply driving into the night with a furry lollipop, rather than waking a cranky daughter. As we finish up our series of sermons on the ways that God calls to people of faith in scripture, I wanted to preach about the call to a teenage girl a couple of thousand years ago that, at least on the surface, seems to be an incredibly unique call – to bear the Son of God, to raise the savior of the universe, and according to some faith traditions, to live a sinless life. That is a heavy call, and there seems to be a lot of pressure there; moreover, when we view the calling of Mary in that way, it is incredibly remote. God will not call me to do that. Ever. I can’t do that. And that got me thinking: before Mary became a mother; before she walked with Jesus on the road to Calvary, she obeyed God. She said “yes”. She said “I can do that” to an unpredictable path – but a path that, by and large, was full of days and months and years that were not remarkable. She said yes to looking for God’s presence in splintered hands and in home cooking and in family gatherings and in doing laundry. When I thought about Mary’s calling in that way, I wanted to say that Mary is a great example to us, not because she is so incredible, amazing, wonderful, or powerful, but because she is willing and able to say “Yes” to God in what will become the mundaneness of life in ordinary time. I wanted to say that Mary was a good person with whom to finish this series of call stories because she was fundamentally obedient – that is, she takes us back to the first commandment in the garden and is obedient. Simply and beautifully obedient. Maybe I can do that. Think about it. There are so many places in scripture where the powerful and intrusive God calls people in amazingly flashy ways to incredibly difficult tasks. How about when he told old Ananias to go and pray for Saul, who’d been trying to kill Ananias a couple of days before? Do you remember when he appeared to an 80 year-old Moses out of a burning bush and sent him to Pharaoh’s court? Or the time he told a 75 year-old childless man named Abram that his family was going to be huge? I’m sure you remember Isaiah’s vision and the ways in which he was humbled by the splendor of heaven. I mean to tell you, those are some callings! But this call to Mary seems so simple, so basic, and so profound. And she said “yes”. And when I thought of that, I wanted to tell you that I thought it was a good model for us in many ways, because she was simply obedient. That’s the sermon I wanted to preach, until I saw that today was Mothers Day. On the one hand, there’s nobody who can carry a Mothers Day sermon like Mary. But on the other hand, if your preacher starts talking about answering the essential calling of God in the same breath as he’s talking about being a mother, well, he’s in a boatload of trouble. Because while such a calling is indeed elemental to our race, it’s surely not within the grasp or the experience of most of us. All of us are called by God. And most of us do not become mothers. Some of us are too male to become mothers. Others struggle with infertility, the loss of a marriage, or a hundred other obstacles. Not all who wish to be parents are able to become such, and many don’t wish to be parents at all. Yet God calls all of us. So I couldn’t preach the sermon I wanted to preach to you about Mary and motherhood. Frankly, this was disappointing to me, because I even wanted to work the lyrics to the Beatles’ Let It Be in there somewhere. But I couldn’t do it because while it was partly true, it wasn’t entirely true to everyone. But I couldn’t leave this call to Mary alone, either. I kept staring at it and re-reading it. In what way is this singular calling to a remarkable young woman instructive and encouraging to all of us? And then it struck me. A little word, just four letters in the Greek. The word is “ἰδοὺ”, and it first shows up in our reading in verse 31, where it is translated as “behold”. In fact, “ἰδοὺ” appears six times in Luke chapter 1. That got me thinking. What if the first calling from God is not to make babies, but to pay attention? I went back to Genesis, and in the Greek translation of chapter 1, it’s right there: where our Bibles read “Behold, I have given you every plant yielding seed which is upon the face of all the earth, and every tree with seed in its fruit; you shall have them for food,” the Greek word is “ἰδοὺ”. Isn’t that God’s first word to Moses, to Saul, to Isaiah, to Jeremiah, to people of every place and time? Look! Pay attention! Wake up! Behold! Isn’t that the story of every call in every age? But if you’ve ever been bird-watching, or fishing, or to an art museum, or babysitting…if you’ve ever been anywhere, really, you know that in most of our lives, we have to learn how to look. We have to figure out how to process the information at hand. We have to learn what to look for, and how to respond. 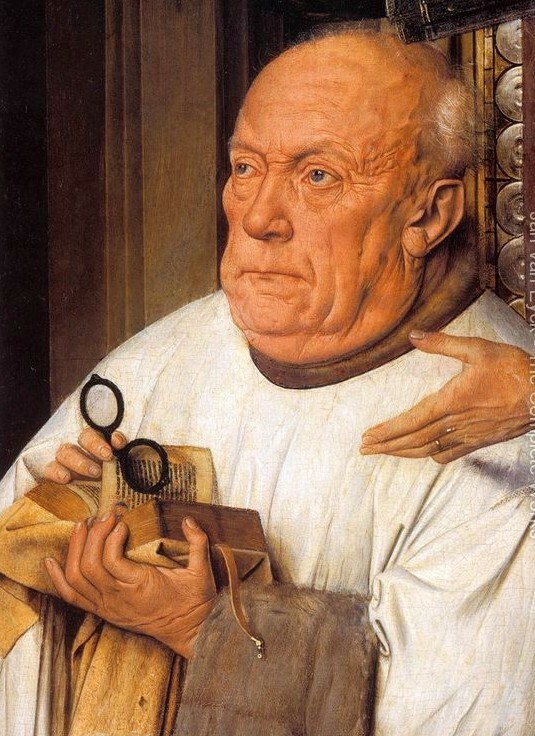 The Virgin and Child with Canon van der Paele (detail), Jan Van Eyck, 1434-36. For as the aged, or those whose sight is defective, when any book, however fair, is set before them, though they perceive that there is something written, are scarcely able to make out two consecutive words, but, when aided by glasses, begin to read distinctly, so Scripture, gathering together the impressions of Deity, which, till then, lay confused in our minds, dissipates the darkness, and shows us the true God clearly. For by the Scripture as our guide and teacher, he not only makes those things plain which would otherwise escape our notice, but he almost compels us to behold them, as if he had assisted our dull sight with spectacles. What’s important in the world right now? Well, if my television is an accurate indicator of the issues most pressing on humanity in early May 2015, it would appear as though the legal status of a couple of artificially-inseminated embryos created by Colombian actress Sofia Vergara, or the amount of air in the footballs thrown by Tom Brady, or the name of the youngest child born to Prince William and his wife are the most important issues on the planet right now. Why do we care about these things? Why do we distract ourselves in this way? Why is it so easy to say, “Oh, God, please show me what you want me to do…as soon as I finish this game of Candy Crush”? Oh, beloved…what if we are killing ourselves and those around us by allowing ourselves to be so distracted that we cannot even behold that which is true any more? People of God, ἰδοὺ! Look at the people with whom you share a home. Look at the people with whom you share a sanctuary this morning, at least half of whom are struggling with some secret sin or deep pain or hidden need, but don’t know what to do about it. Look beyond the cotton candy in our media and hear the cries of those who suffer from violence or abuse or betrayal or enslavement… And to make sure that you’re looking at the right stuff in the right way, look through the Bible. Use the eyeglasses of God’s word to help you see what is really important in the lives of the people for whom Christ died, and those whom he has given you to love. I guess what I’m getting at in this sermon on the calling of Mary is this: what if we are waiting around for a call from God to do or be something special but in the meantime we are not paying attention to the “behold” moments of life? Here’s the truth: two thousand years ago, the Lord of life showed up in a Palestinian living room and asked an illiterate, unwed, peasant teenage girl if she was interested in seeing what he had in mind for the world. She said “yes.” And she entered into the grime and pain and joy and hope and fear and wonder that God opened to her. Not because she was so amazingly outstanding. But because she was willing to see what God would show to her. Can you dare to believe that God is willing and able to enter into the messed-upness of your life? Do you actually think that God can call you toward something better or deeper or higher or fuller or richer than that which occupies so much of our world’s attention right now? Could God be inviting you to a life of maturity, service, and joy? Can you ἰδοὺ? Can you seek to behold where and how that can be? And then, can you say “yes”? There is a lot that I can’t do, including being a mom. But ἰδοὺ? Behold? Cracking open the Bible each day, and listening for God’s word, and trying to see God’s world through that word? I can do that. Can you? During Lent 2015 the folks at The First U.P. Church of Crafton Heights spent some time looking at people who turned – and re-turned – to Jesus during the course of his ministry. 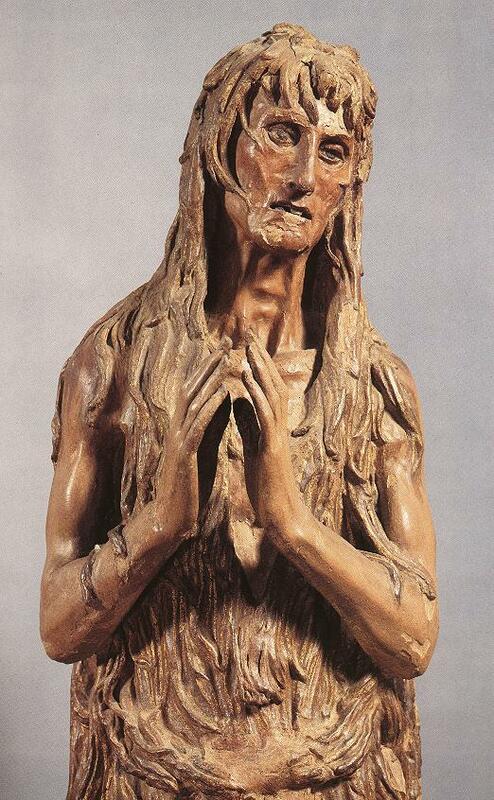 One of the people who did that time and time again was Mary of Magdala. Our first service on Easter Sunday included a reading from Matthew 28:1-10. If everything goes as planned, sometime after four p.m. tomorrow afternoon, Francisco Liriano will throw the first pitch of the 2015 Pirate season. It would seem as though thoughts of resurrection and hope are not limited to theological themes this week. As I think about tomorrow’s game, I am struck by the notion that there are two kinds of ball players in the world. Some of you come in from the field and know exactly where we are in the batting order. Many of these folks not only remember the order, but are happy to issue a report as to how previous batters have fared against the current pitcher. And others of us, perhaps more focused on defense, strategy, or how good a burrito would taste right now, come to the bench and say, “Who’s up?” We have forgotten where we stand in the order. Ever since my grandfather took me to a game in Connie Mack stadium nearly fifty years ago, baseball has been magical for me. I love it because it’s good to listen to on the radio, and it’s better in person. I appreciate how it is a wonderful blend of individual and team competition, and I love to see how choreographed it can be, such as when there are two men on base and the batter lays down a bunt. It is poetry. And beyond the mechanics, there is a cerebral element. 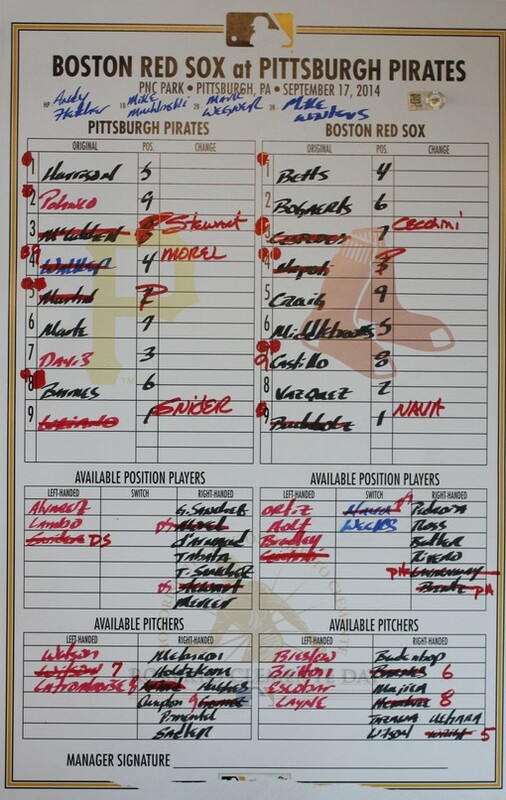 How will the manager construct his batting order? Speed up top and power in the middle, usually. Ask people down below to be smart, and don’t embarrass themselves or the team. Believe it or not, that’s the question that came to mind as I pondered this morning’s scripture. I know – believe you me, I know – that it’s dangerous to compare the arc of history and the message of salvation to a game. But bear with me on this, because I think that Matthew 28 reveals a significant shift in God’s dealings with humanity – and that has implications for us. The prophets – God’s leadoff men, if you will, set the table, and then the heavy hitters come up. When the time is right, the angels appear. Angel, from the Greek word angelos, means messenger, and these messengers show up in droves. Zechariah, Mary, Joseph, the shepherds all receive visitations with some real specificity. You will have a son. You will give him this name. You will find him here, wearing this. Who’s up? Well, mostly it’s Gabriel, it would seem. God had a message, and he sent messengers. And then, about thirty years later, Jesus begins his ministry and we quickly discover that he not only has a message, he is the message. For three years, Jesus works to transform human history and experience by raising up a small group of followers. The most prominent of these, of course, are the twelve apostles. Apostolos, meaning “one who is sent”. It is fairly obvious to even a casual reader of the Gospels that Jesus is preparing the twelve for something. To follow my baseball analogy, for much of the Gospels, Jesus is “up” now, and they are “on deck”. And then the unthinkable happens. He is betrayed by one of the twelve. There is an unjust trial, a cruel execution, and a hasty burial. In a twist, the Apostles are not sent anywhere. Instead, they scatter and hide. But God is not through. Jesus is not through. We heard this morning about the ways that God has turned this unthinkable tragedy into an even more unthinkable victory. The next phase is set to begin. How will it begin? Are we going to see Gabriel, Michael, or one of the other angels again? Not really. When God started the whole Jesus thing, there were angels everywhere: in the Temple, in Joseph’s dreams, in Mary’s home, in the fields around Bethlehem. That’s the way that God chose to get the news out then. The best news in the history of news is entrusted to a woman named Mary from the town of Magdala. We don’t know a great deal about her, although Luke tells us that at one point Jesus drove not one or two, but seven demons out of her. It is difficult for any of us to imagine what that life would be like – a life filled with uncertainty and shame. 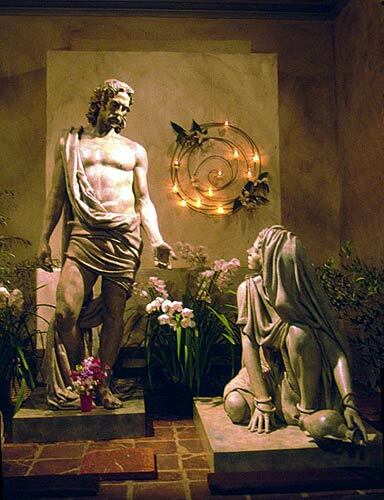 Mary evidently connected with Jesus fairly early in his ministry and after having experienced the transformation of his presence, she became totally devoted to him. He treated her with love and respect and encouragement, while most of her peers no doubt continued to remember her as she had been. You’ve been in high school – you know how long people remember (“you know, Mary, the woman who used to be… the chick who always had… You know, Mary?”). When the Apostles all scattered, Mary was unable to leave his side. Even as he hung on the cross, she could not see herself anywhere else. After all he had done for her she only wanted to show a little respect. She was, as Frederick Buechner says, “one of the women who was there in the background when he was being crucified – she had more guts than most – and she was also one of the ones who was there when they put what was left of him into the tomb.” The least she could do was to make sure he got a decent burial, and so she arrives at the tomb at first light that Sunday morning. When she arrives, however, she runs into an angel. Unlike the previous angels in the gospels, though, this one is not telling her something that God is going to do. He simply instructs her to get back to the disciples and tell them to make their way to Galilee, where they will meet the Lord. Not long after that, she runs into Jesus himself, who demonstrates the truth of the angel’s message of resurrection and reminds her to send the apostles to meet up with him. This is far and away the most incredible bit of news that anyone, anywhere, has ever heard, and to whom is it entrusted? Her. That one. 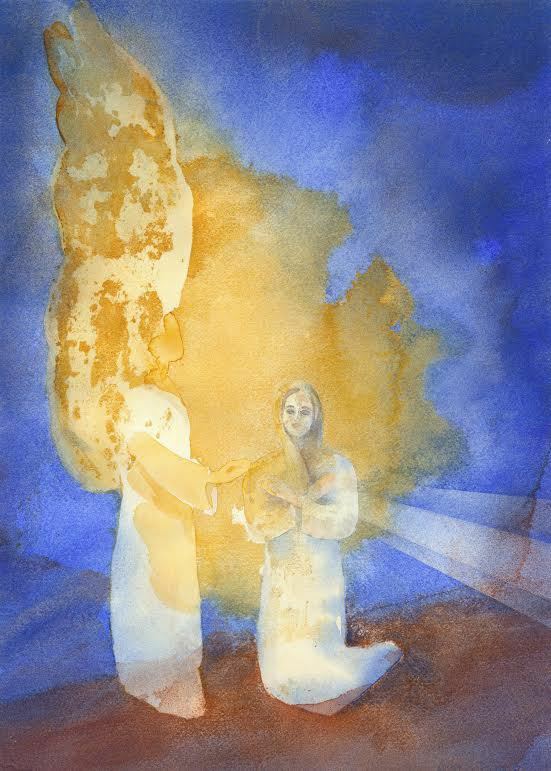 Mary of Magdala receives the promises of Jesus: I can be found. I will be seen. Listen, if the resurrection is a fairy tale, then we’re just wasting our time. If the resurrection is an allegory or a myth, then maybe it’s a harmless enough way to spend a few moments before breakfast. If the resurrection is merely history – an event that happened once upon a time, a specific occasion in a particular place, then maybe someone ought to put up a plaque or historical marker. But I believe that the resurrection is better and truer than any of that. I believe that the message still holds. I believe that the Message is still operative in our world. God, in Christ, is moving in and through the world to bring sight where vision fails, to build up what has been torn down, and to heal what is wounded. That is not yesterday’s news. Jesus is, in all of the most important ways, still visible. Apostles, like Mary and the twelve are still, in every significant way, being sent. Do you know this? Are you aware of someone who needs to have vision restored, hope re-planted, sin forgiven, oppression lifted, enslavement ended? Go and look for them. And show them Jesus. The angels are not going to do it. Nor can Mary, Peter, John, Paul, Priscilla, or Aquila. It’s you and me. Come on, church. You’re up. The world needs to see Jesus. Can we show him here and now? Can we be his body in this time and this place? The Lord IS risen. He is risen indeed! Peculiar Treasures: A Biblical Who’s Who (Harper & Row, 1979), p. 102. 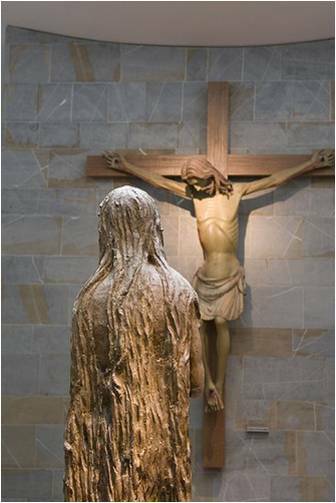 During Lent 2015 I will be exploring a number of persons who met Jesus, and for one reason or another left his company, and then re-engaged him at a later time. My hope is that in exploring these people who returned to Jesus, I can learn more about what it might mean for me to continually orient myself in a Christ-ward direction. Our reading for March 15 came from John 12:1-8 and focused on the day that Jesus re-visited the home of Mary, Martha, and Lazarus after he had raised Lazarus from the dead. Think for a moment about a person you would say is a friend. A close friend. Think about the things you’ve shared, the things that person has meant to you over the weeks, months, and years. Do you have a picture in your mind of someone you’d call a good friend? Jesus and Mary were close friends. We know that because John chapter 11 tells us that Jesus loved Martha, Mary, and their brother Lazarus. We see it when later in that same chapter, Jesus becomes aware of Lazarus’ death, but it’s not until he comes face to face with Mary that he breaks down and weeps himself. You know how that is, don’t you? You have a sense of being able to hold it together in a crisis, and then you see a beloved face, and you dissolve in a puddle of emotion. Jesus loved Mary, and Mary loved Jesus. But that’s not to say that things were always smooth. 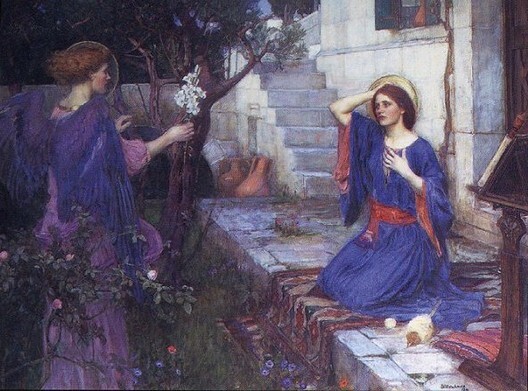 In fact, the last conversation that we overhear between these two sounds bitter and almost accusatory: after Lazarus dies, Mary hides from Jesus, and then finally faces him, exclaiming, “If you had been here, my brother would not have died…” She is sad, she is angry, and she says the first thing that comes to mind. Of course, we are not always at our best when we say the first thing that comes to mind, are we? You know how it is to be a part of a conversation that did not end gracefully: you said something to your boss or a coworker; a teacher heard you mouth off; you spoke in anger to one whom you love. Oh, you got out of the room, all right, but now you’ve got to face that one again, and you’re not sure how it’s going to go. That was Mary’s situation. In John 11, her brother dies, and she does everything but blame it on Jesus. Then he raises her brother from the dead and leaves town. Not long afterward, he comes through Bethany on his way to Jerusalem, and Mary’s going to come face to face with her friend. This Lent, we’re talking about people who turn back to Jesus – those who encountered him, and then left for some reason, and then have come back into the relationship. That’s not the case for Mary, though. There’s no evidence that Mary was a bad person, or had nasty habits, or was in any way reprobate. She’d had a bad day – her brother died! – and she took it out on Jesus…and now she has to face him. The reading we had from John shows us how each member of this family re-turns to Jesus following the events of chapter 11. 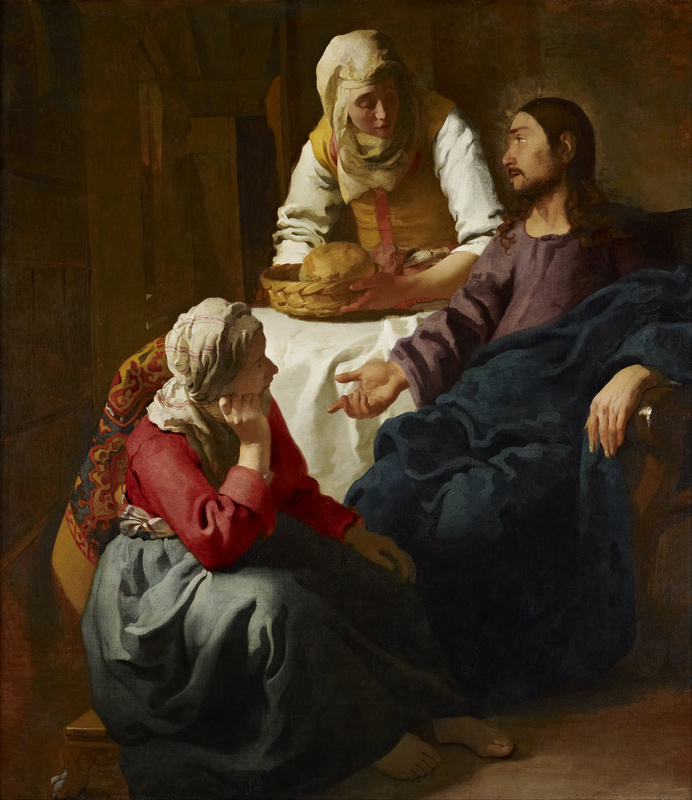 Martha, Lazarus, and Mary each have their own style of reconnecting. 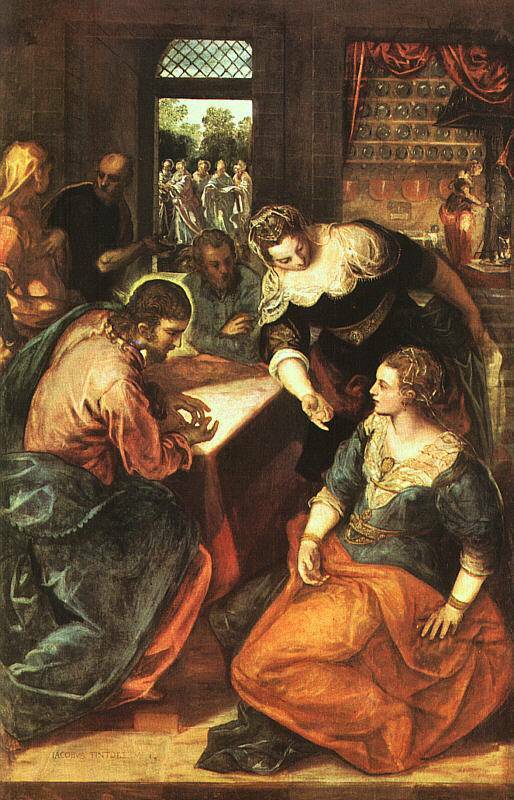 Martha, the practical one, seeks to express her care for Jesus. “Relax, Lord. Being the Rabbi is tough work. Let me worry about dinner. You know, Jesus, you work too hard. Rest.” Martha is smoothing things over by making sure that all the details are well-attended. Lazarus, the man who was, presumably, supremely glad to see Jesus a week or so ago, is content to simply sit at table with Jesus and soak it all in. He is enjoying the chance for fellowship, teaching, and conversation. Both Martha’s and Lazarus’ approaches are valid expressions of a heart-felt joy in relationship, but I’d like to focus in on Mary’s response to the renewed presence of Jesus in her home. She is, above all else, profoundly grateful. This is a woman who is clearly overwhelmed with feelings of thankfulness for all that Jesus has done in raising her brother from the dead and thereby saving Martha and her from a life of poverty and difficulty. In looking for a way to express this gratitude, she goes to his feet and lets down her hair and focuses totally on Jesus – for Mary, there is simply no one else in the room. Mary not only has feelings of thankfulness – she expresses those feelings with concrete actions. And hers is an act that has significant implications for her – we read that Judas was chafed because the ointment that she spread on Jesus’ feet was worth more than 300 denarii. A single denarius was the usual wage for one day, and so she is, in essence, committing an entire year’s salary to this celebration of gratitude. There is no indication that this is somehow “extra” ointment that she had laying around, or left-over from some other event. She took her best and, in an act of devotion, she poured it out on Jesus. She was doing this, she thought, as a way to re-engage the Lord and to show him how glad she was that he was still willing to come into her home and life. 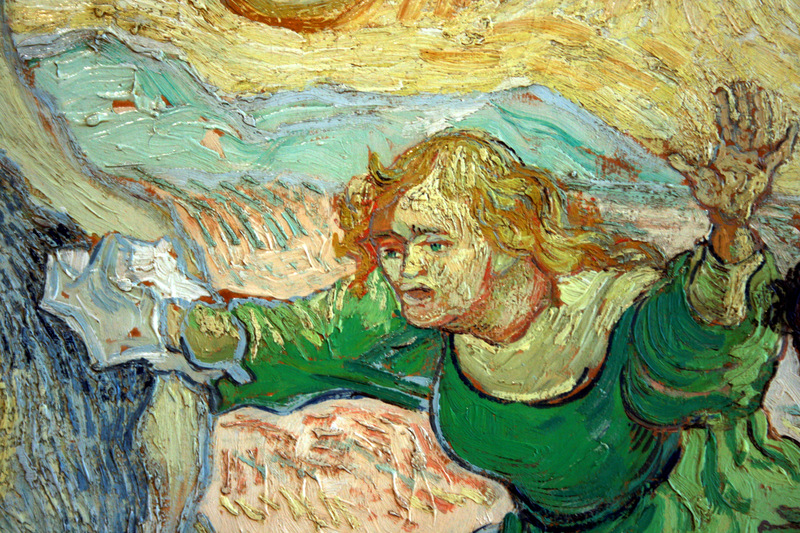 She was not aware, however, that her act had an even greater implication until Jesus pointed out that this was preparing him for his own death. And note with me, please, that when Mary does act on her feelings of thanksgiving, she acts in a way that, while incomprehensible to others, is totally authentic to her own life. Mary is not seeking to show up anyone, she’s not trying to get Jesus to like her better – she has no ulterior motives here – just spontaneous, extravagant gratitude. A third thing that I notice about Mary’s action is that her behavior – her choices, her outpouring of gratitude make the whole house a better place to be. The ointment that she uses is called “nard”, and it is an essential oil made from the roots of a plant called spikenard. This oil is intensely aromatic and fragrant, and was used in making perfume, incense, or medicine. 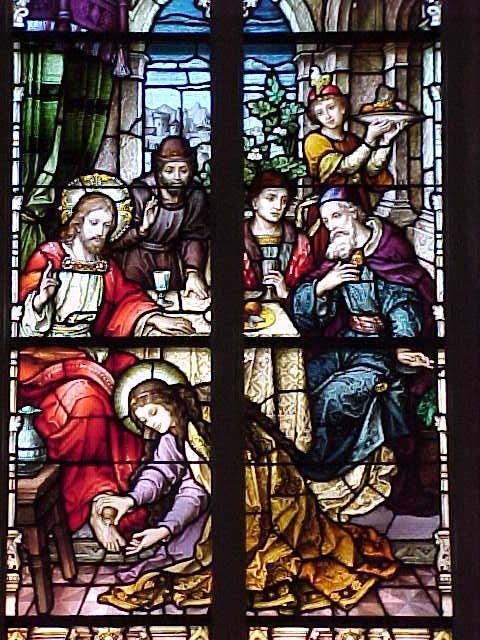 While Mary is totally focused on making her own act of gratitude and devotion to Jesus, John points out that “the house was filled with the fragrance of the ointment.” Mary’s act of devotion and thanksgiving was a blessing to the people who were around her. As we sit back and consider this encounter of one woman’s “re-turn” to Jesus, what are the implications for our lives? I wonder…when is the last time you slowed down enough just to be grateful to God for who and where you are right now? I know, I know, you are not totally satisfied with your life. There are still some changes you need to make and some goals on your horizon. But seriously, some of you need to be asking yourselves, “How am I still alive right now? Why in the world am I here? How did I pass that class? Who am I that I get to do this, that, or the other thing? I get it – your life isn’t perfect. But most of us slept last night in some degree of comfort. Most of us have access to food, and we are gathered in the warmth of this fellowship. Aren’t these good things? Do they matter to you? Can you be grateful for something in your life right now? To be honest, that is the only reason for giving that is really comprehensible to me. I know that God can’t love me any more. I know that there’s no way in blue blazes that I am going to be able to do enough to solve one of the world’s problems with what I give…but I am so deeply appreciative of what the Lord has done for me that I don’t really feel as though I have a choice here – I can only respond in generosity as I consider the extravagant blessings in my own life. So maybe you have a posture of gratitude, and maybe you want to join me in expressing that gratitude in an act of giving. Does our response make the world a better place? Just as the whole house was filled with the aroma of Mary’s nard, are my neighbors better off because I’m grateful to God? Is the way that I treat them or the others around me reflective of the deep sense of gratitude that I owe to our creator? Does your gratitude to Christ spill over so that others are aware or encouraged or enriched? Another way of asking that same question, I suppose, is this: does the way in which I experience and express my gratitude lead others to become more aware of God’s care in and for their lives, which will lead them, in turn, to a place where they can embrace the savior with gratitude and respond in a way that is authentic to them? Listen, my friends: Jesus is here, now. He has come to this place, even after I have not always treated him in the way that he deserves to be treated. Today, you and I have the opportunity for a fresh engagement with the Lord of life, a new opportunity for hope and healing. In view of that, can we resolve to move forward in a posture of thanksgiving and gratitude? And can we decide that our thanksgiving will have practical implications for us and the rest of the world? Can our lives today be anchored in a thanksgiving that is not limited to mere sentiment, but one that blossoms into action that grows into love expressed for the world? This is a new day, a new season, and new opportunities. Thanks be to God for the chance to respond with joy and gratitude. Amen. As has been my custom for more than 20 years, Christmas Eve I told a story to the saints at Crafton Heights. It’s an original story, so far as I can tell. I read a lot. If you see something good in here, I probably remembered it from something else I read. 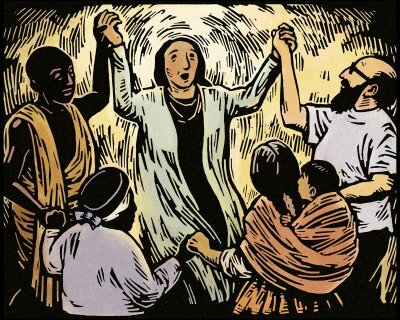 The inspiration for this story, and the truth to which it points (I hope) is found in Luke 1:46-55, the song of Mary known as The Magnificat. Scott McBurney was not invisible. He arose every morning of his life, trusting this to be the case. He was not, and had never been, invisible. He knew that. He knew that even on the days when it felt otherwise. When he was born, his parents were expecting twins. And so when his sisters Susan and Sarah emerged from the womb, there was joy. There was delight. There was celebration. There was…another baby! Scott was born eight minutes after Sarah, to the utter surprise of everyone in the room. For the first four days of his life he was known to all, including his parents, simply as “the boy”. While a name was eventually found for him, along with a bedroom and the other necessities of life, he often felt as though he were, in fact, invisible. Susan was the beautiful one. She was simply stunning, and as the kids grew, she was never at a loss for a social life. She lit up the social networks. Scott did not. Sarah was the brainy one. Whenever the homework was arranged on the refrigerator, hers was the one with the most checkmarks, stars, or exclamation points. She received a number of college scholarships and academic awards. Scott did not. Scott was the boy. With the exception of being a triplet, he had about the blandest life imaginable. Widely regarded as “a heck of a guy” or “one of the nicest guys you’d ever meet”, he still found himself – often – in the company of those who had forgotten his name. He didn’t resent that. He didn’t regret anything. It just was, that’s all. He taught High School English and Communications in suburban Chicago. While there’s not much of an indication that he was anyone’s favorite teacher, the kids didn’t hate being in his class, either. And as young Mr. Dixon was wallowing in the re- re- re- of “regard”, Scott McBurney’s attention was drawn to Angela Wallace, who was hands-down the most attractive and most-intelligent student in the eleventh grade. Although she had been blessed with looks and brains, kindness was not among her attributes, and she was very subtly, but unmistakably, drawing everyone’s laughter to poor Marcus’ plight. It wasn’t much, but Scott felt like he had to do something to support Marcus. He was neither surprised nor disappointed when Monday arrived, and, like everything Angela did, the speech was flawless. She was poised, relaxed and informative. Scott, along with the eleventh grade Communication Arts class, learned that while much of the time “regard” is used to mean “esteem” or “glance”, it actually comes from a very old French word, garder, meaning “guard” or “watch”, and “re”, meaning “back” or with added intensity. 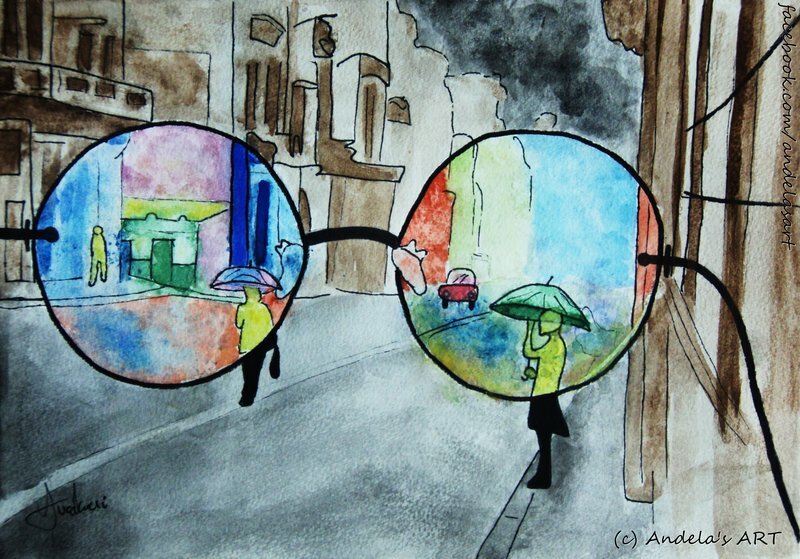 “Regard”, once upon a time, then, meant to look at, to watch out for, to pay attention to with some real energy. Angela also pointed out that it carried with it a meaning of holding something or someone in esteem or respect. And, because she was so, well, so Angela, she got an A on the speech and came out smelling like a rose. And Scott McBurney gradually allowed that episode to fade from his mind for a few weeks. On the Sunday before Christmas, Scott found himself in a place that was at once quite familiar and intensely uncomfortable: exactly halfway across the third pew from the front on the right-hand side at the church in which he and his sisters had grown up. Susan’s children were in the pageant and it was expected that he would deviate from his normal routine and re-appear at the church to observe this spectacle. And, because it was expected, and because he was still, in many ways, “the boy”, there he sat. As he sat in that hard pew, it occurred to him that this whole Jesus thing reminded him of everything about his sisters that he resented. He had grown up being taught to worship the blond-haired, blue-eyed Jesus that wowed the multitudes with his amazing teachings and snappy miracles. In other words, the Jesus who was every bit as attractive and intelligent as Susan and Sarah. That, he thought, is why he had found it so easy to walk away from the church. Mary’s Song, by Julie Lonneman (http://julielonneman.blogspot.com) Used by permission. “Seriously?” Scott thought to himself? “Regarded?” And because he’d been brought to that pew every week as a boy, he knew that if he reached into the little cubby underneath his seat that he would find, in addition to some ancient bulletins and candy wrappers, a battered pew bible. He thumbed his way to Luke 1 and there he satisfied himself that he had heard correctly: apparently, the Almighty is in the business of regarding…of watching. Of looking for, or respecting, or guarding. Of taking second glances. And he wondered. And then he thought that maybe he’d been spending too much time at school, or, worse yet, too much time thinking about Angela Wallace. A couple of days later he found himself back in the third pew from the front on the right-hand side of the church – his twice-yearly appearance (not counting the bonus points he’d earned for showing up at the children’s program). And, as it happened, the preacher had chosen to read again from Luke. This time, it was about the shepherds and the innkeeper. And it struck Scott, again, that these were folks who were widely un-regarded. Not worth a second look. Shepherds and innkeepers and carpenters and unwed mothers were a part of the furnishings… but not here. For the first time in his adult life, Scott McBurney wondered if this blond-haired blue-eyed popular miracle worker was, well, was not really Jesus at all. Maybe that character didn’t even exist. During the week between semesters, Scott sat down and read through the entire Gospel of Luke. It only took about an hour and a half. And as he did so, he encountered an old man named Simeon, and Peter’s mother-in-law, and a tax collector, a centurion, a whole bunch of bleeding and disfigured people…an assembly of outcasts, all of whom would have been dis-regarded by the people of that time, as well as Scott’s own. None of whom was worthy of any consideration. And yet each of whom was sought out by Jesus of Nazareth. Here was this son of whom Mary sang, honoring these people with his presence. He was, in fact, regarding them in their lowly estate. By the time he’d finished this exercise, Scott had left the shepherds and the fishermen and the sick masses…and wondered about himself. Scott McBurney knew that he was not invisible. But he never thought much about the fact that he had been regarded. And somehow, that changed things. Angela, and Marcus, and the rest of the second period Communication Arts class probably didn’t notice anything. Mr. McBurney was still a nice guy. He was still, mostly, the boy. Oh, if anyone had had reason to thumb through his calendar, they might have noticed that he was spending more time not only at church, but in the feeding ministry the church ran on Tuesday evenings. Had someone access to his checkbook, it would have been easy to see that his priorities had shifted dramatically. Yet Scott would say that these changes weren’t really worth noticing, because they were merely symptoms of something more important going on. He would say that once a person realizes that he’s been regarded, well, that person starts to do some regarding himself. Once he realizes he’s been seen by Jesus, and he looks at Jesus, well…he just begins to look with Jesus. And the world becomes a different place. Scott McBurney is not invisible. Nobody is. Thanks be to the God who has regarded us in Jesus Christ. Amen. Christmas Eve affords me with my absolute favorite view of the entire year. It’s darker than it usually is…but I like to think that when I gaze at the congregation while they are holding their candles, just after we finish singing Silent Night, that we see each other more clearly than usual. People who have hovered around the edge of the Holy, even on a dark and cold night, become more visible than we usually are. and moved into the neighborhood. The Word – the Son of the Father – is the Visible Man. God – in Christ – has a face. 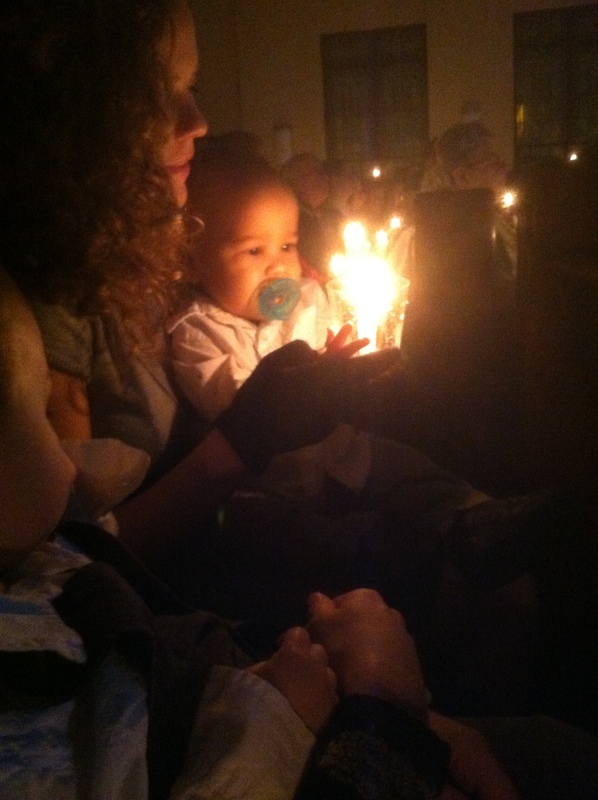 And tonight, I celebrate that it looks like the people I get to worship with. Scott McBurney took a couple of hours and read through a Gospel. This Christmas season, I’d like to challenge you all to do the same thing. Put aside the new toys, the fix-it projects, and the dirty dishes. Grab your old Bible, or simply go to Bible Gateway, and look for a Gospel. Read it in a new translation – like The Message. And don’t read it for answers or for the Jesus you already know. Read it as if you’d never heard it before. And look for yourself there. Because you are visible there, too. Thanks be to God, I can see you in the Gospel, and I can see the Gospel in you. Never forget – you are regarded.